We’ve all done it. You’re running late to work because the air was too cold and you couldn’t force yourself to get out of bed. You rush out the door, only to find your car topped with three inches of snow and your windshield wipers frozen to the glass. Instead of being extremely late from clearing off your car and waiting for your windows to defrost, try prepping the night before with these tips from Nifty. It takes less than 15 minutes to prep your car and it’ll save you time (and the headache) in the morning. 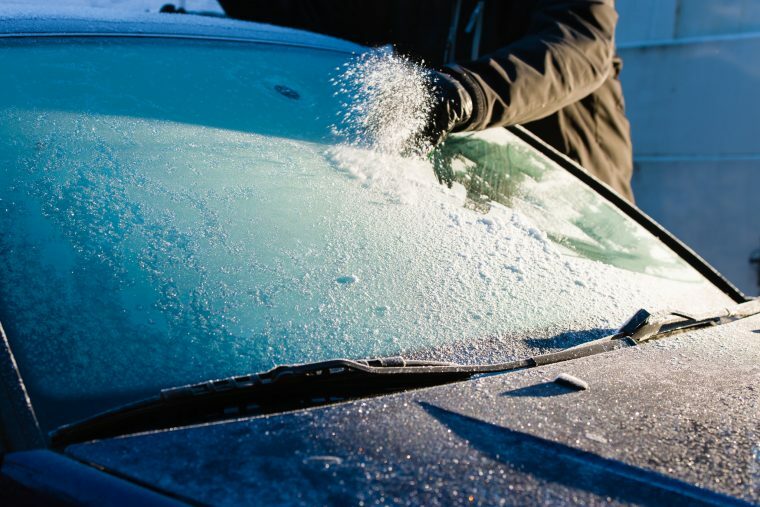 If your car doors are frozen shut, it can be a pain to defrost them (not to mention the fact that you’re standing outside in the cold in the meantime). The night before, grab some cooking spray and spray it on the inner lining of the doors. This will create a slippery barrier that will help you open them later. Gallon-sized Ziploc bags fit perfectly over your side mirrors and they’ll help keep snow and ice off. Simply slip the bag over your mirror and zip up the edges as much as possible. However, keep in mind that sleet can seep through the bag. Plastic bags don’t fit over your windshield wipers as well as they do mirrors. Instead, grab a nylon sock and slip it on each wiper blade. Once again, though, this method doesn’t work with sleet—you’re more likely to get the sock stuck to the blade. Too often, we finish scraping the snow off our cars, get in the car to go, and our window fogs up. The night before, pour some unscented cat litter into a sock (scented cat litter will make your car smell gross) and place it on the dashboard. The cat litter will help decrease the humidity inside the car by absorbing excess moisture.